Originally I set out to recreate the 1984 PC classic game 'BEAST'. BEAST is an ASCII game written and developed by Dan Baker, Alan Brown, Mark Hamilton and Derrick Shadel. The object of this arcade-like game is to survive through a number of levels while crushing the "beasts" (represented by the character ├┤) with the movable blocks. 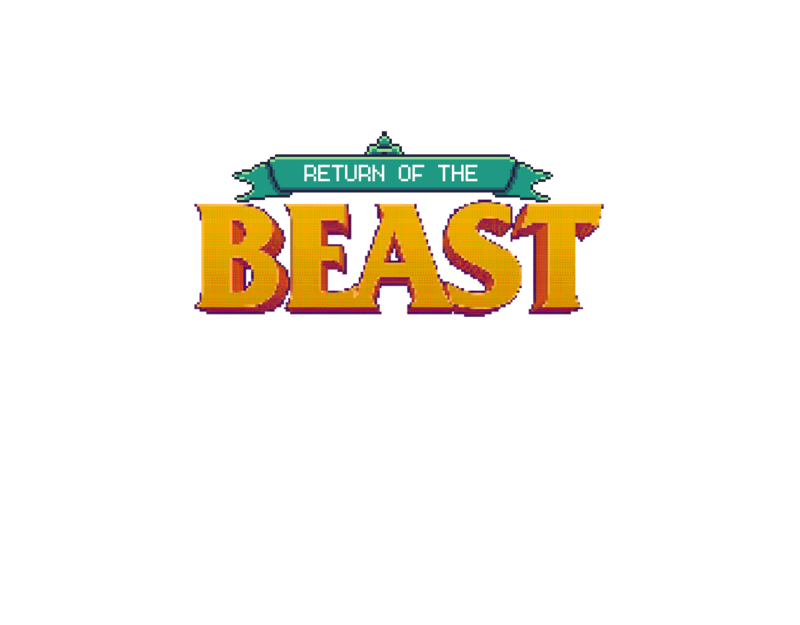 Hence the name of my game 'Return of the BEAST'. However, over the course of the first 8 months while working on the engine, I decided to expand on the original and put in some more elements I enjoy in games. I enjoy games with a story, quests and character building more than straight forward arcade-style games which were popular in the 80s. It gives you a reason to keep playing, especially when its a single player game. Multiplayer arcade style games thrive on competition or cooperation with a friend. And while it was easy enough to get together with some friends in my teens and play games, nowadays I usually find myself playing solo. Even games like Spelunky (a rogue-like short session game) provide something of a backstory and things to unlock that carry over to your next session. Binding of Isaac does the same. Additionally I like games that allow you to explore a world and do so at your own pace. Jumping into a dungeon or boss fight when you feel you are ready. I enjoy side-quests sometimes more than the main story line, even when it's a 'little bit of a grind'. And last but not least, I like puzzle-based gameplay more as opposed to skill-based gameplay. Where having to think and plan ahead is more important than twitch-like reflexes and button presses (Pac-Man vs Contra). I'm terrible at games such as Metroid, Castlevania, Axiom Verge and Isaac. But I love what they do, the way they tell a story or let you explore a world. Unfortunately I never see much of it as I always run into that one boss (usually pretty early on) that keeps me from progressing. Which brings me to something I really dislike in video games... boss fights. They require a specific set of moves to defeat and often present the player with difficulty spike that doesn't seem fair. When playing Dark Souls you know what to expect going in, but even action games such as Gears of War feel the need to let the player ram his head into a wall over and over again. I want to be able to prepare for boss fights and feel great when I defeat them... They should feel like a victory lap. But hey, that's just me.